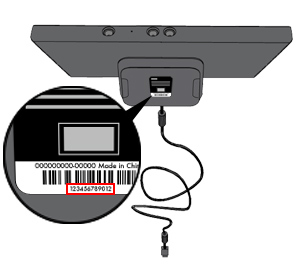 The Kinect sensor serial number is located on the bottom of the sensor. The serial number is a 12-digit number located directly below the barcode. Would you like to contact Support regarding the "How to find the serial number on a Kinect sensor" issue you were reading about or a different issue?